Bella Care Home is an assisted living facility in Clovis California that provides quality care to seniors who can no longer live on their own without the additional help they need. As a health care institute and that caters the needs of the older population, our clients tend to misunderstand our service, saying that we make our clients more dependent to their caretakers and that assisted living facilities take their freedom away. 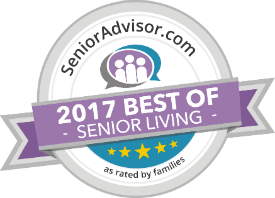 Unlike staying at home where many dangerous things may happen to them, seniors can feel secured while staying in an assisted living facility. They will not have to worry about the dangers they will face because of their difficulty in doing a certain task for expert hands are more than willing to assist them in any way possible. Stairs, bathrooms and their own bedrooms will not give them a hard time for they will be easily accessible to them. Also, they will not worry about burglars or an attack in the neighborhood for an assisted living facility is one of the safest places a senior can be at. In case of emergency, they can even easily call someone for help. Meals can become hard to make especially if you are living alone and most especially, if you are older. Instead of preparing something scrumptious and nutritious for the body, seniors who are alone at home may tend to microwave all their food. And if they seek company, they often eat in front of the TV. That does not sound so fun at all, right? When your senior is in an assisted living facility, their appetite will boost most especially because many people come and gather together at dinner. Not only that, you and your family can even save supplements for caretakers monitor their diet to see if your beloved elderly can stop relying on it. Seniors need to get out of their houses more to socialize with peers and maintain as active a lifestyle as possible. We provide opportunities for events, recreational activities and more. If your senior is renting, they may be facing troubles in living alone as they may need to contact their landlord if ever there is a leakage or if something wrong is happening in their rented apartment. This is even worse for seniors with their own houses to maintain. Many could take advantage of their vulnerability if they needed help and may be more susceptible to lies. 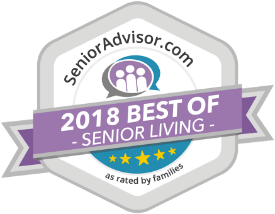 In an assisted living facility, they need not worry all that for they can simply call on their caretakers or caregivers and these caregivers will immediately tend to their discomforts. Death is inevitable and even your closest friend may pass away sooner than you. Loneliness is probably the worst feeling that could ever happen to a senior and they do not have to feel that way. When loneliness is felt, depression kicks in and when it does, elders will become weaker. But in an assisted living facility, your senior will feel otherwise. With many seniors and caregivers whom they can talk to anytime, they can alleviate the worst feeling they can have. Aside from that, facilities offer activities that can keep them moving and away from boredom. This entry was posted in Home Care and tagged assisted living facility, home care services, personal care. Bookmark the permalink. Nice Post. Great looking website as well..